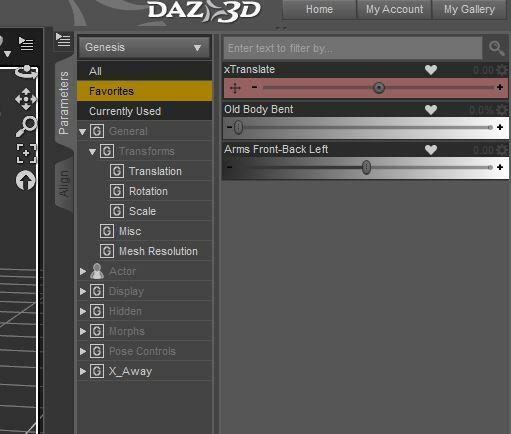 DAZ Studio Pro 4.6.2.120, General Release, Now Available for Download! I've tried to install and I keep getting a dialog box saying something along the line "error trying to install that directory..." And i ignored all the way to the end... and it stops. I get 3 choices: Retry, Ignore and Abort. On a Mac if that helps. What directory are you trying to install to? I must apologize to all concerned parties concerning a certain recent post that has since been removed. I had no intentions of making it sound the way it did. Suffice it to say that I was not thinking clearly at the time. In the future I will take pause before typing my messages in order to think about what is actually relevant to the subject at hand. Wow, I'm glad I decided to read teh forums before installing this pile of junk. I think I'll wait a bit on this one. Say, wasn't there an "Open Recent" option under File in the beta? What happened to that? Use the Script to rebuild your menus from your base content directory under scripts:Utilities and it will be there. And the name of the script is????? WARNING: Unhandled error while executing DAZ Script. DEBUG: 3: UI created in 0.38 seconds. What version of Reality do you have? It is possible, I guess, that I missed an update? There has been no updates for awhile, but my version is 2.50.1.122 (according to the Plug-in screen). Even though you have a non-standard path for RealityToolkit.dse, I assume that it has worked with the previous release? I went back to my saved downloads to find what version I had and then to Paolo's site (armed with orders numbers) to see what version I'd get and, I was not surprised to see!, I had, like you, the latest. This made me sit back and think and apply my sys prog logic ... "what has changed?" in a recursion ... if it wasn,t DS (as implied by your results) what was before that? So, I 'unplugged; the latest OcDS plug-in and .. voila. Reality is back working! I'll raise that over on the Otoy site (after I check the latest, just a short while ago, beta release). Thanks for the input/help. OcDS what is that a version of DS OCD?? I have to ask what is the rush to always feel the need to pump out a new version every 6 weeks? Why not pump out one or 2 a year that's actually tested and stable. I have found that reading the forums before updating is a wise thing to do. While I feel for those of us that are having troubles with the new build, I am also glad that they have seen fit to post what is happening with it. They are helping those of us that have yet to upgrade. From what I've been able to read, it seems to me that a lot of issues stem from using the DIM to do everything. I never have and haven't had issues when it comes to installing any new version of DS right from when I first got DS4. If the DIM causes issues when you try to install DS then don't use it, do it manually. I don't use the CMS either, I just use the main content library and check forums to see if anything has been updated. Just because this and the DIM exist it doesn't mean that you HAVE to use them. And the odd thing is I've been running the New build from 10 minuets after its release without one error. It's another your mileage may vary type thing. I do not Export so no info on that. Installing using the installer it looks like (and on Mac OS X 10.8+), hit ignore. BitRock installers just seems to have problems with 10.8+ enhanced security, or use DIM, which works. What do you do before you install a new version? I don't do anything and just let the .exe do its thing, it detects the previous version and uninstalls it. I then follow any prompts and it goes on its merry way and installs and runs without a hitch. I always hand install with exe for Programs. I do use the CMS so I stop it then install. Never a issue. BitRock installers (some of them) do have slight problems with the enhanced security in Mac OS X 10.8+. Perhaps others should follow our example. That tools thing does look to have happened with my install, but, that particular menu is turned off. I loaded up the layout which had all the tools on it, customised it and turned off the tools I don't use. It's all fine. I have a a custom interface layout/style but did not edit the toolbar's, so no issues there either. I haven't edited the toolbars...mainly because every time I tried on the previous version, it would crash and burn...thereby resetting them back to what they were before I tried to edit them. And it wasn't because I needed the 'extras', just because I wanted to edit them...so no problem, either way. My only issue was the tdlmake problem, that crops up from time to time...and it's more due to the fact I'm not running in Window or Mac that seems to be the root of it. And as to the content/database problems...I really think there is something external to DS behind it. Because there is a rash of them, recently...and not all happened after the version update. But not stopping the CMS before updating isn't going to help anything. It seems to me that the 'fun' starts when people do things they 'think' they need to, not what they actually need to. I'm a couple of builds behind, but going on past experience, I'm taking it for granted that I'm going to have to edit the badly saved stuff in all of the starter essentials packs yet again. b) what badly saved stuff? Do you mean items that are not in the expected place in the content folders or CMS, or stuff that actually has problems? I certainly haven't noticed any of the latter. ...]Fixes are coming for the Tool bar issue, we have to test it first to make sure the fix worked and didn't break anything else. I only use the DIM for Content installation. If and when I decide to upgrade to the new build, I will be installing it via the .exe. Sorry if I did not clarify that. When the DIM was first released as a Beta version, I was having problems that were not actually related to the DIM itself; rather it was due to being told to map my own install path, which cause files to be installed into an inaccessible place for DS. (A lot of details I will not go into here.) I finally got some good advice concerning the DIM on how to fix that and have had no problems with it since. 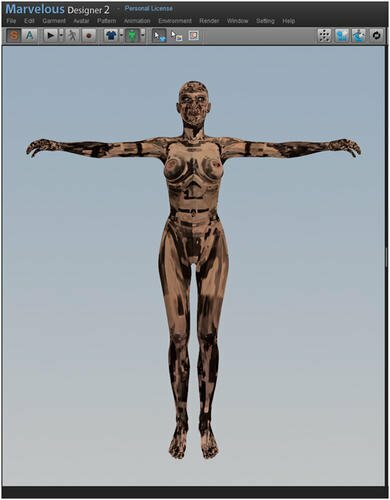 That being said, I have not really trusted the DIM to do well with installing DAZ Studio upgrades, and would rather install those via the .exe. I did hit Ignore (10,000+) to the end of the install and then it states, "there was a error installing...." and then shuts down. Come to think of it, I think it was the DM. D/L'n the DSP manually and it's working.... And now back to our regularly scheduling thread. Multi-threaded: OpenMP is not supported on this platform. Does this mean that Daz Studio can only work on a single core on OS X? Are we ever going to get OpenMP? DS uses OpenMP and that was disabled due to 10.8 not working with OpenMP, to include crashes. In the properties tab, there are now little hearts in the translate and rotation tabs and when you hover over it it says "click here to toggle the favorite state of this property." What does that mean? A property marked as favorite will show up when you click on the "Favorites" item between the "All" and the "Currently Used" on the left hand side of the any of the tabs showing parameters. Its a short cut to find properties you like. It can also be used in connection with the Transfer Utility to only transfer a subset of morphs. I loaded up the script and reapplied the City Limits layout (my layout of choice) then relaunched the application. Everything looks right again as it did in the Beta.